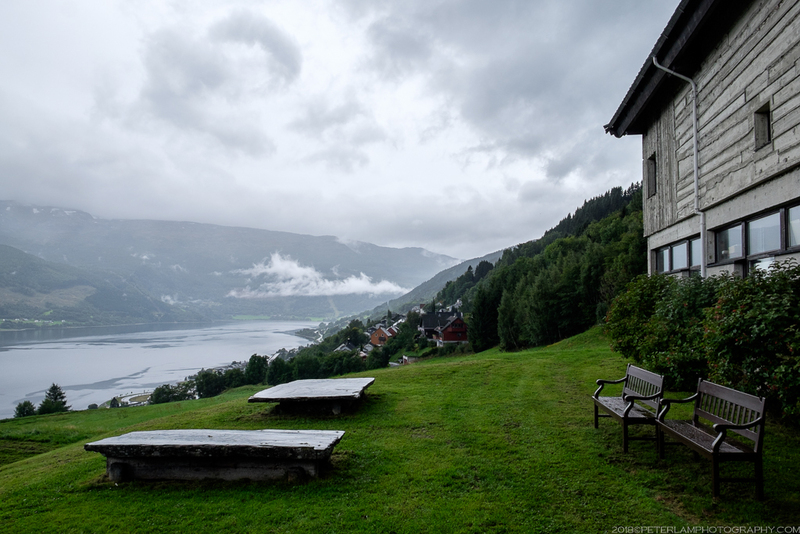 The sixth day of our Norwegian roadtrip started off overcast and would soon turn into one of the wettest days of our stay. 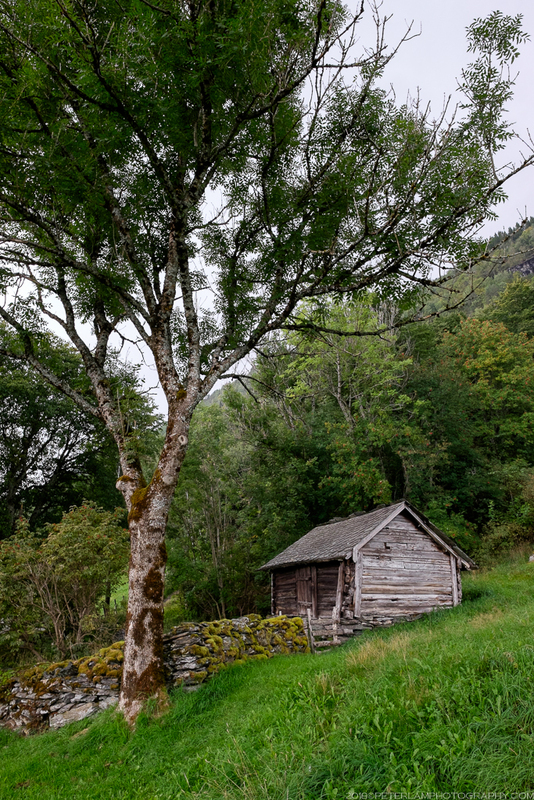 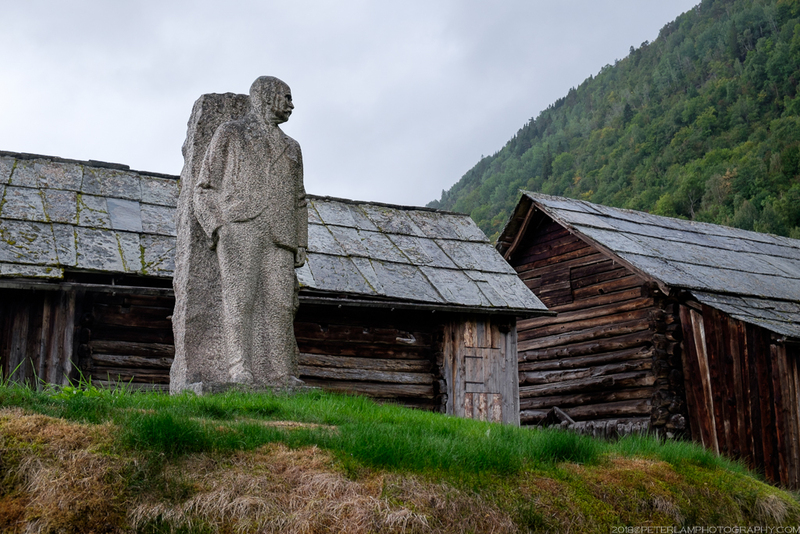 We would once again leave the city for the countryside, driving some 200 km east from Bergen to Lærdal, a municipality in southeastern part of Sogn og Fjordane county. 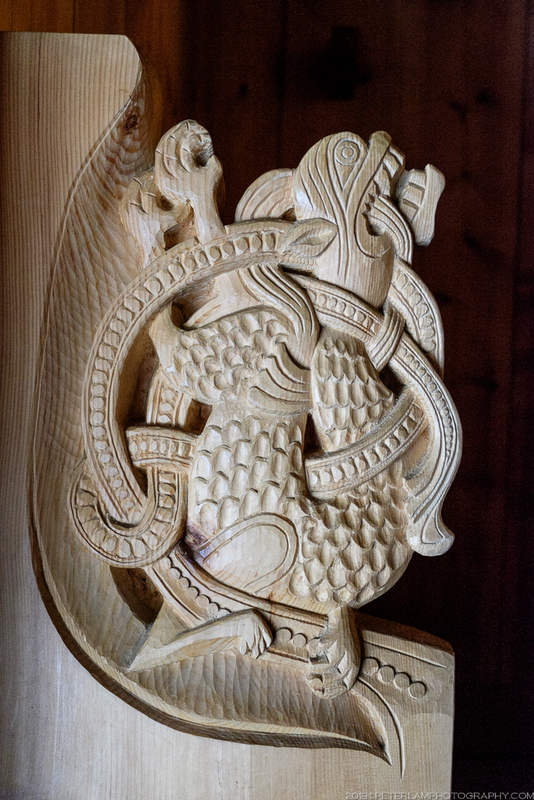 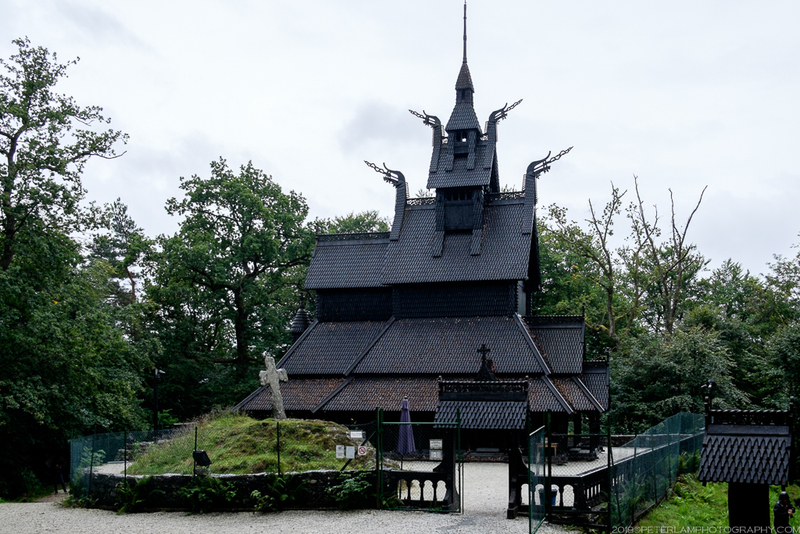 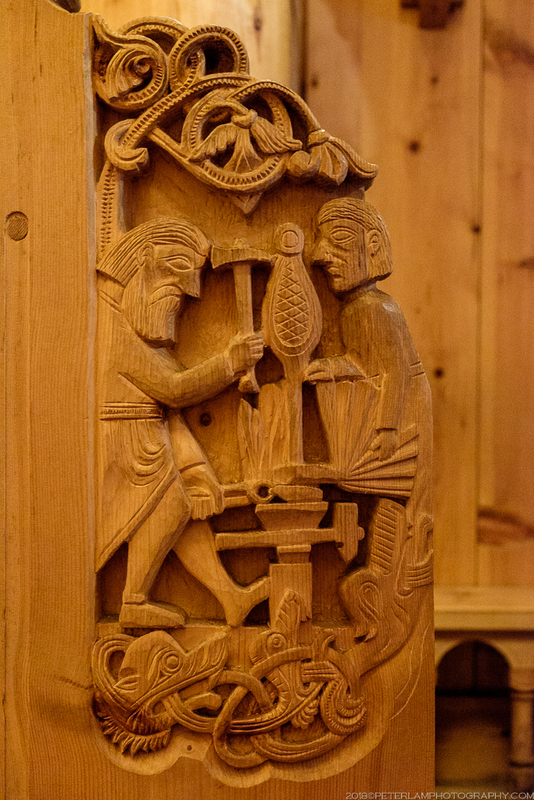 Despite the rain, we make the most of the long drive, stopping at numerous attractions along the way: a stave church, a historic village, and the popular destination of Flåm. 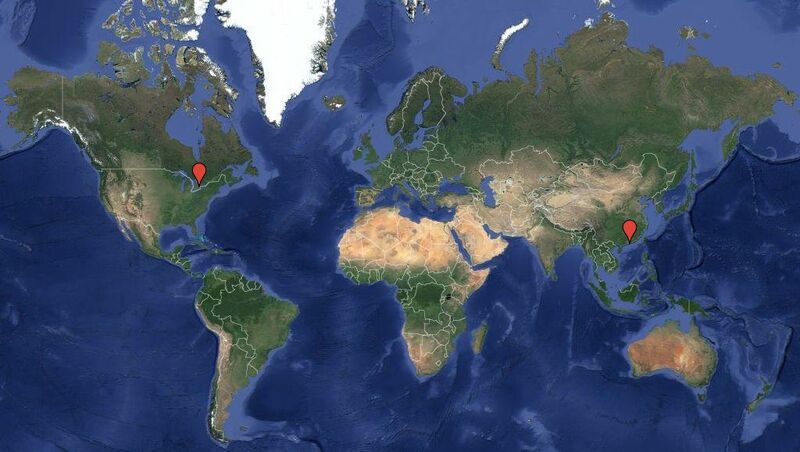 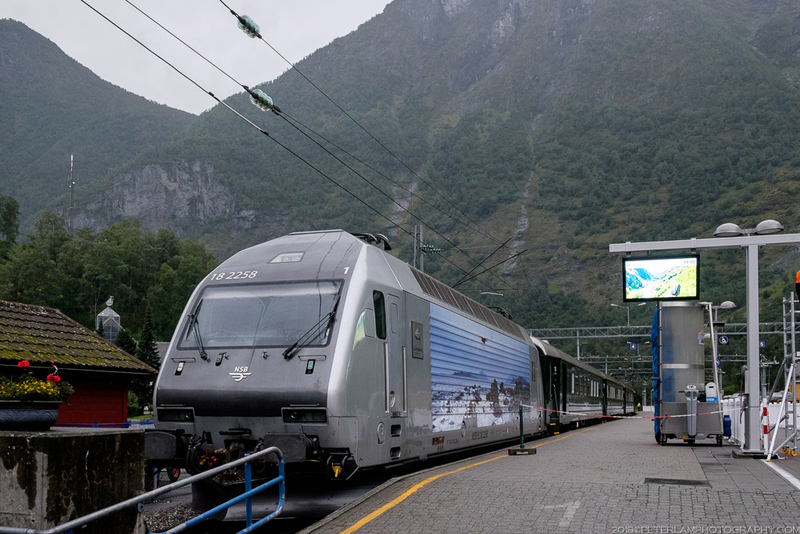 We even drive the world’s longest road tunnel! 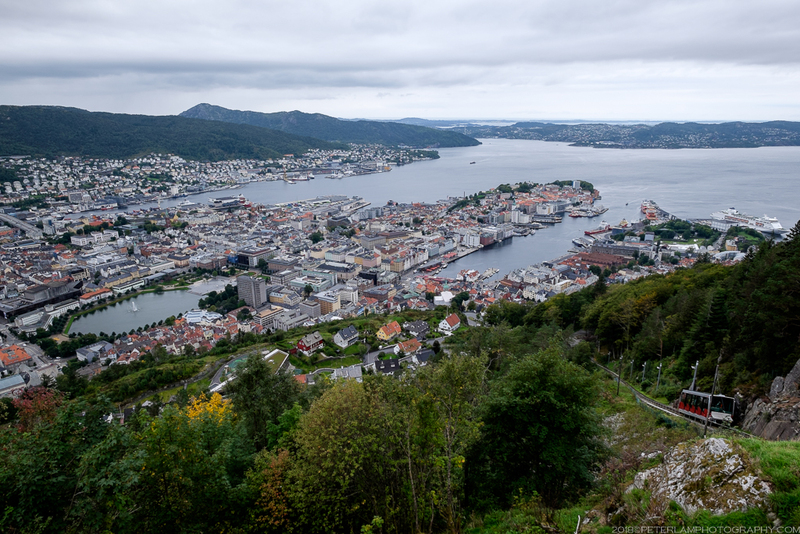 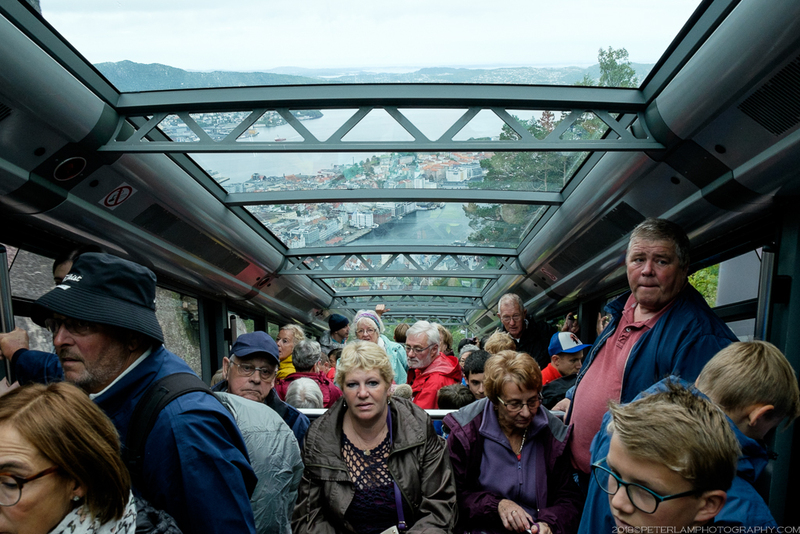 Before leaving the city, we head up to Fløyen, one of Bergen’s mountains and a hugely popular tourist attraction. 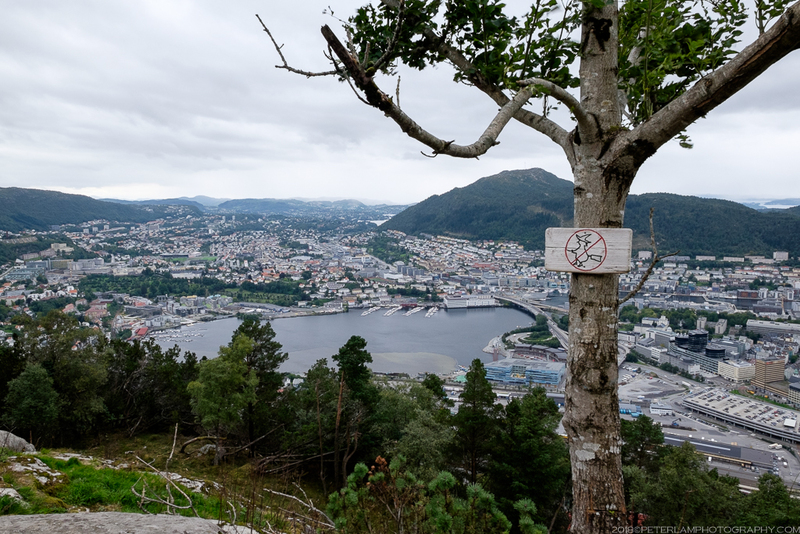 Taking the Fløibanen electric cable-car funicular, we reach a viewing platform some 300m above sea level with great panoramic views of the city below. 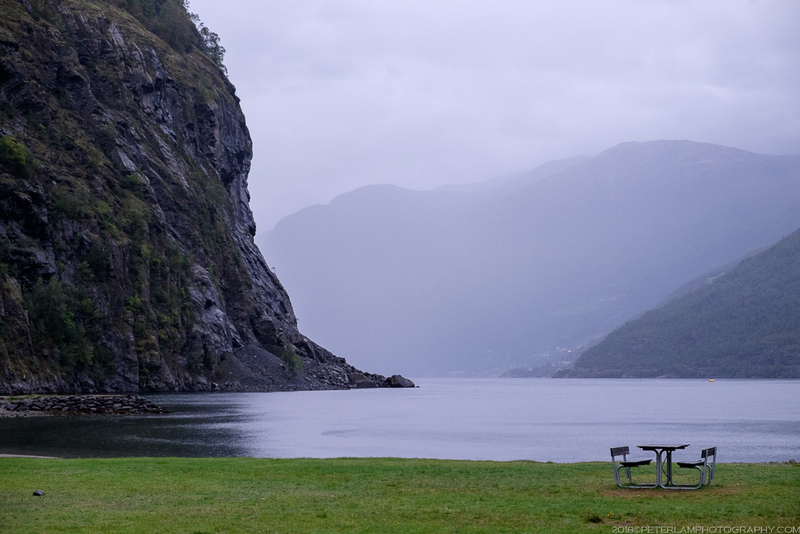 We got there just in time, too – as we departed, it started raining heavily and visibility was near zero. 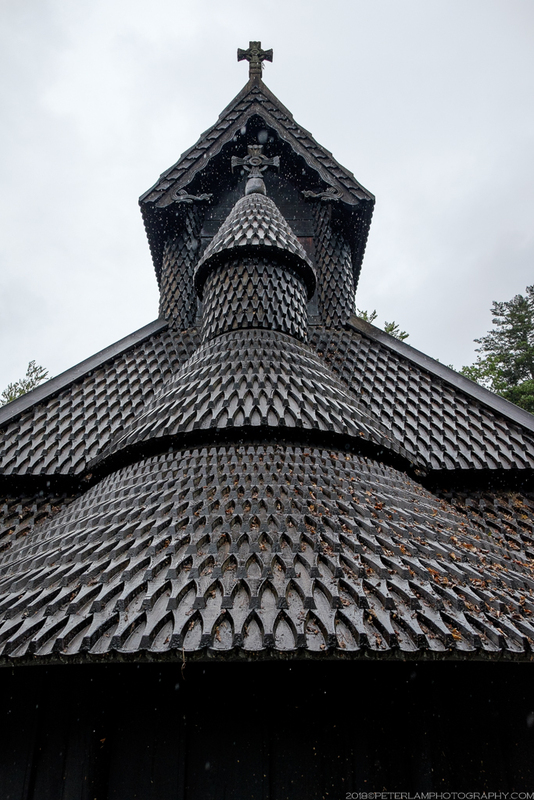 Located south of Bergen city centre, the Fantoft Stave Church (Fantoft Stavkirke) is the first of several stave churches we would visit over the next two days. 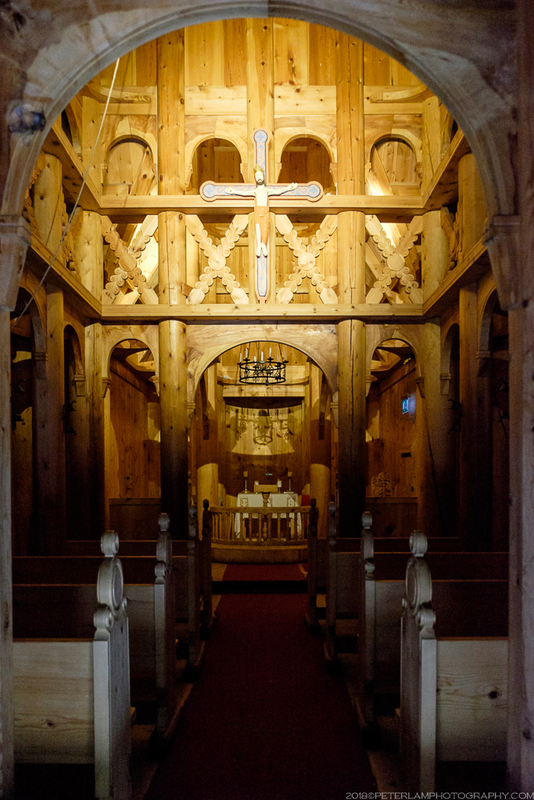 A medieval Christian church building constructed entirely out of wood, these structures were once common in north-western Europe. 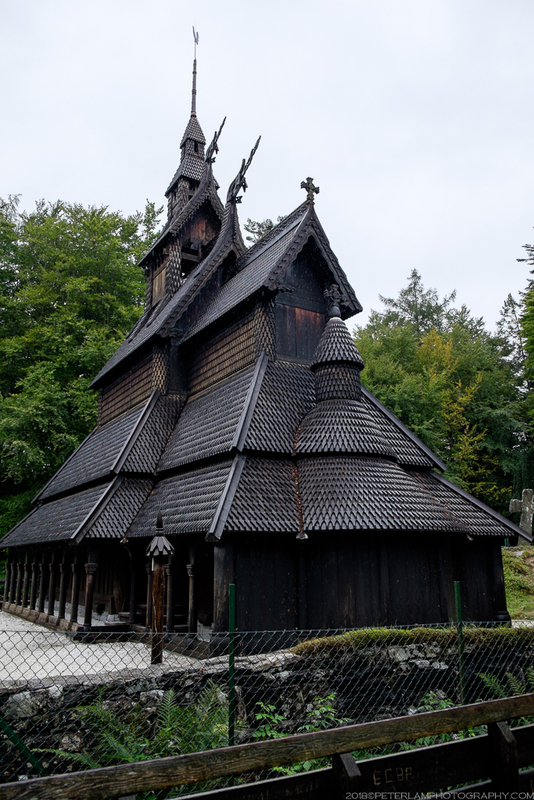 The one at Fantoft is a reconstruction of the original from the 1100s, burned to the ground by arson in 1992 (the first in a string of church burnings by members of the early Norwegian black metal scene). 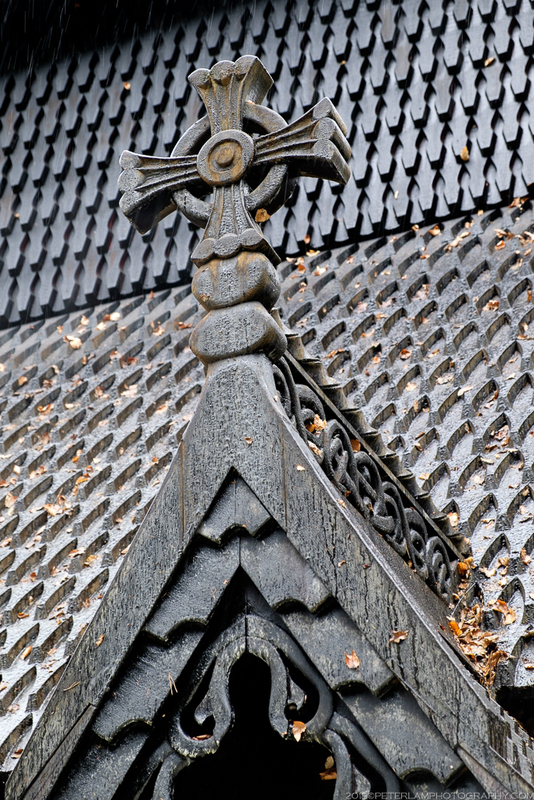 It took 6 years to rebuild the church. 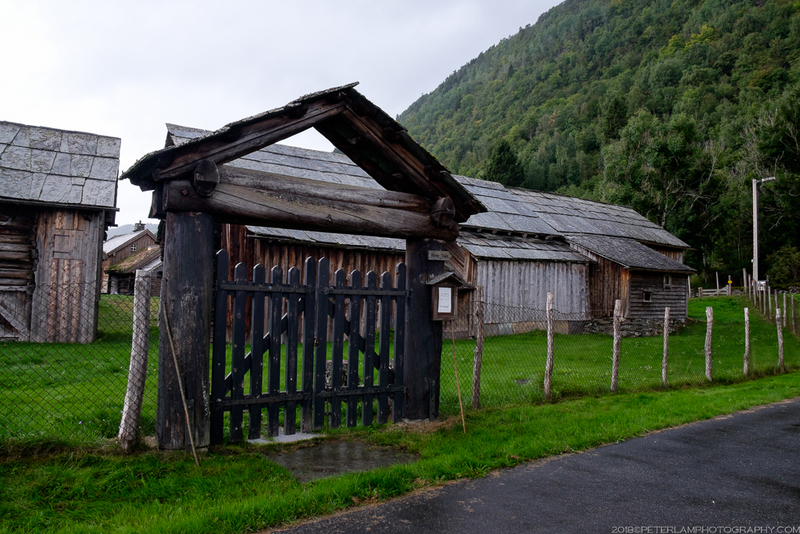 Further east we make a stop at Voss municipality and Voss Folkemuseum, an open-air museum consisting of several old farmsteads. 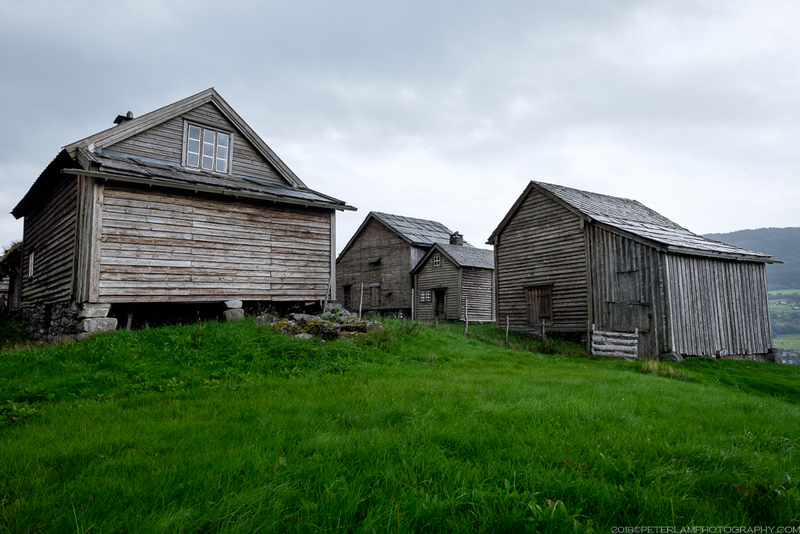 Unfortunately the museum had closed for the day, so we walked around the grounds and peeked at the farm buildings through the fences. 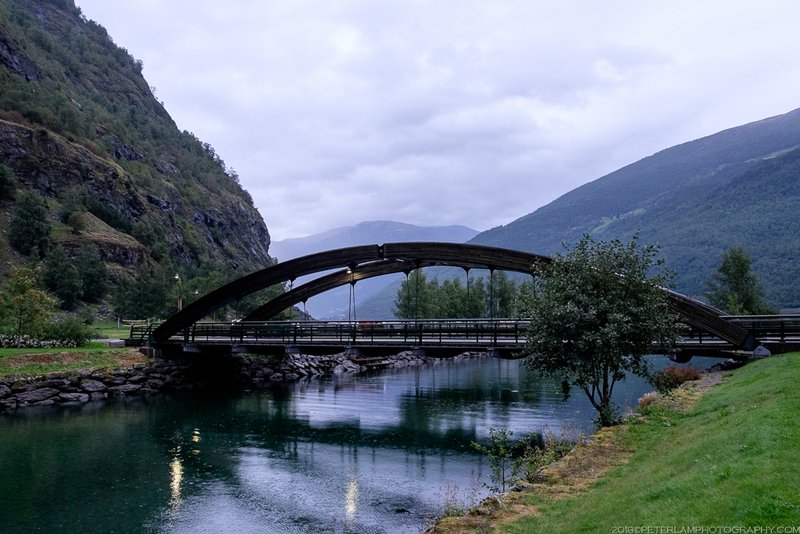 It was evening by the time we arrived at Flåm. 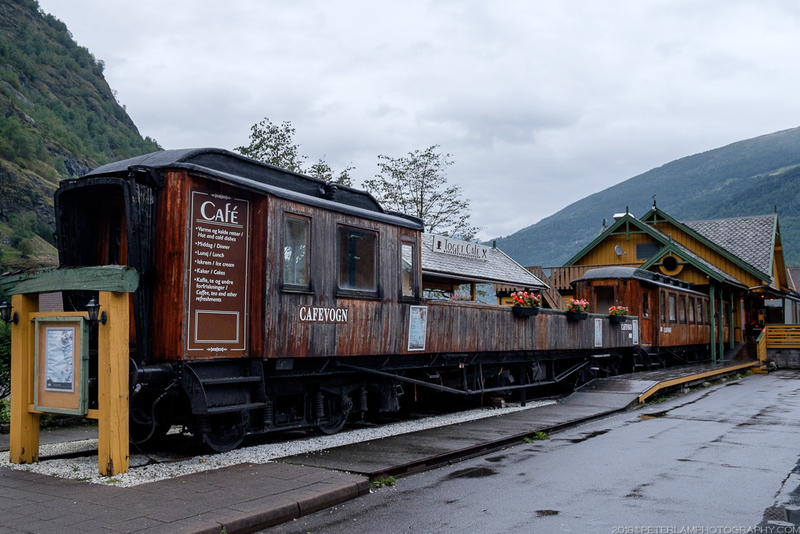 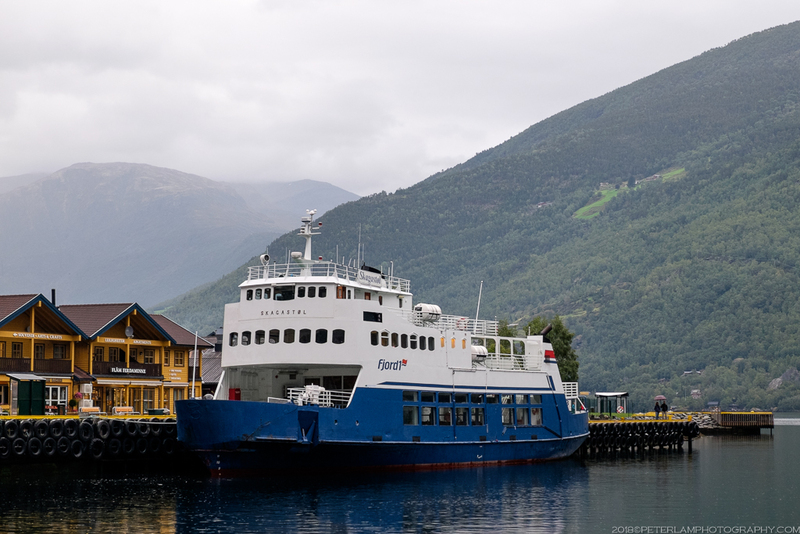 The small village, situated at the end of Aurlandsfjorden (a branch of Sognefjorden), is normally packed with tourists, this being the terminus of the Myrdal-Flåm scenic railway as well as a popular cruise ship destination. 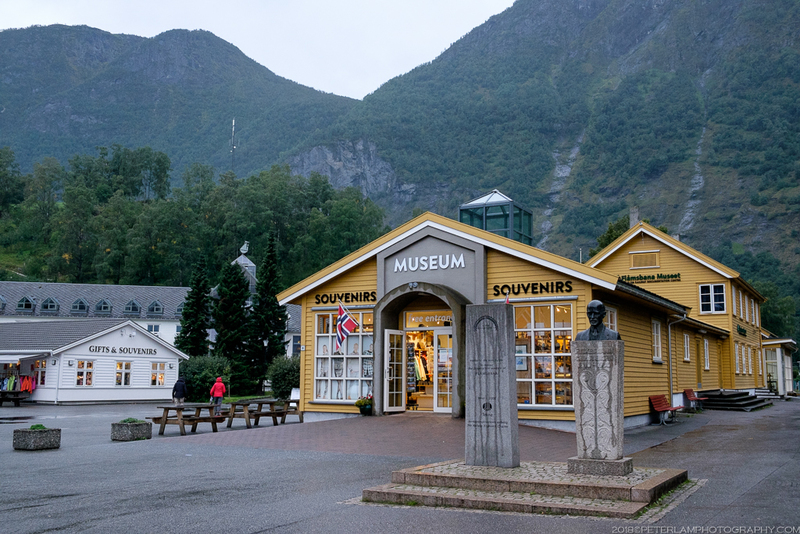 Turns out we had the whole place to ourselves, and the only thing open was a souvenir shop. 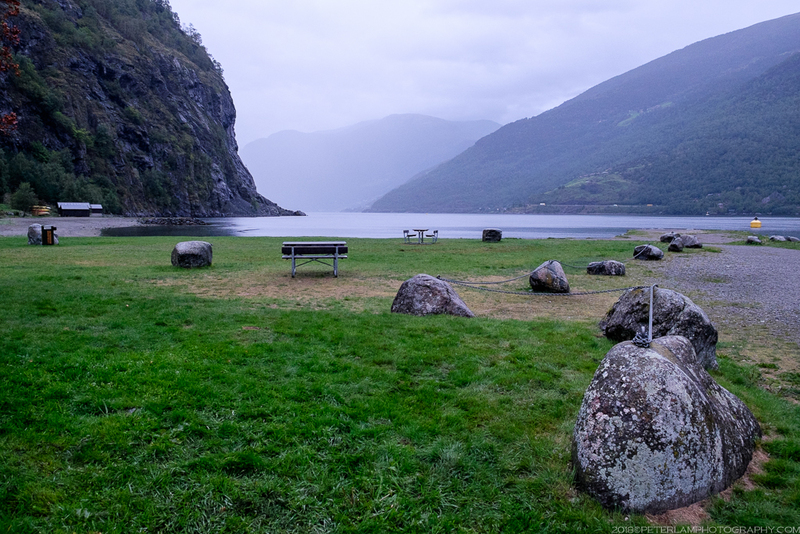 The views of the fjord were beautiful, and the village so peaceful. 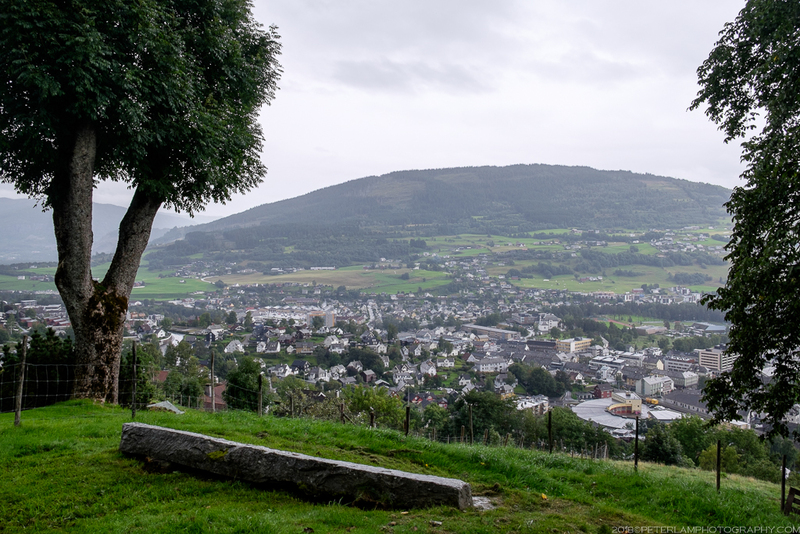 Our planned drive of Aurlangsvangen, one of Norway’s national scenic routes on the last section to Lærdal, wasn’t going to happen. 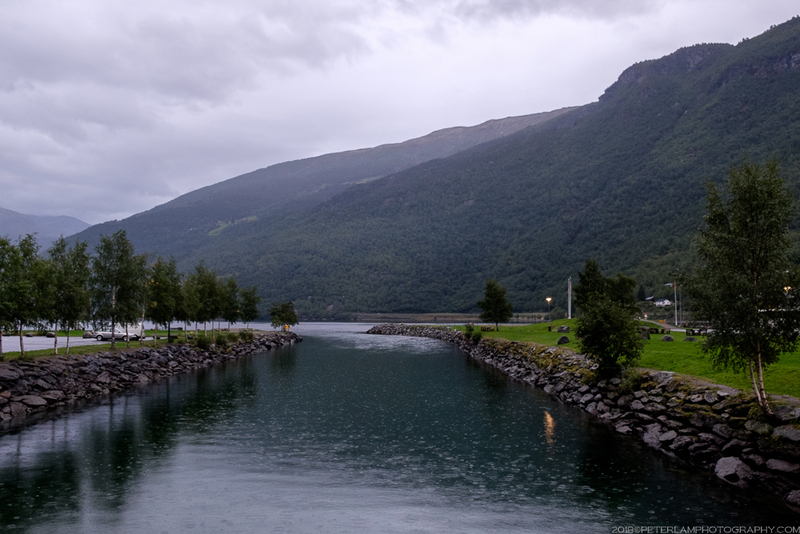 It was still raining and getting dark quickly, so we opted for the next best thing – the world’s longest road tunnel! 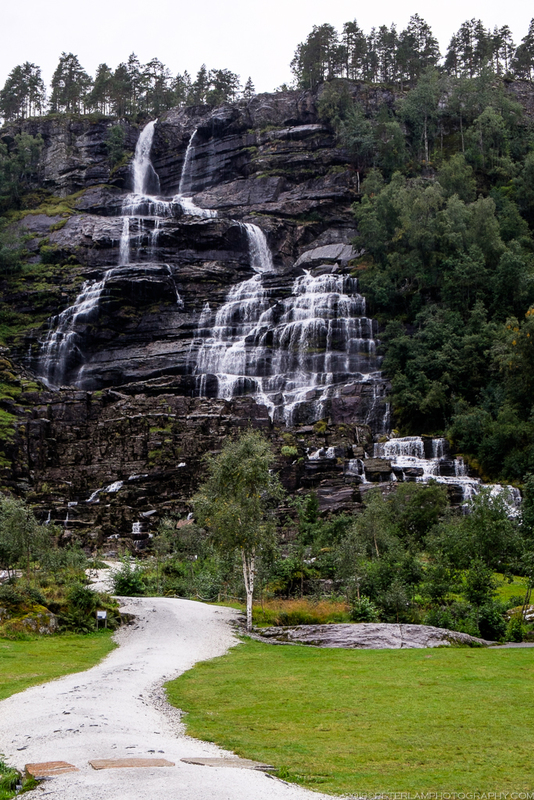 The Lærdal Tunnel (Lærdalstunnelen) spans 24.5 kilometers connecting Aurland and Lærdal municipalities. 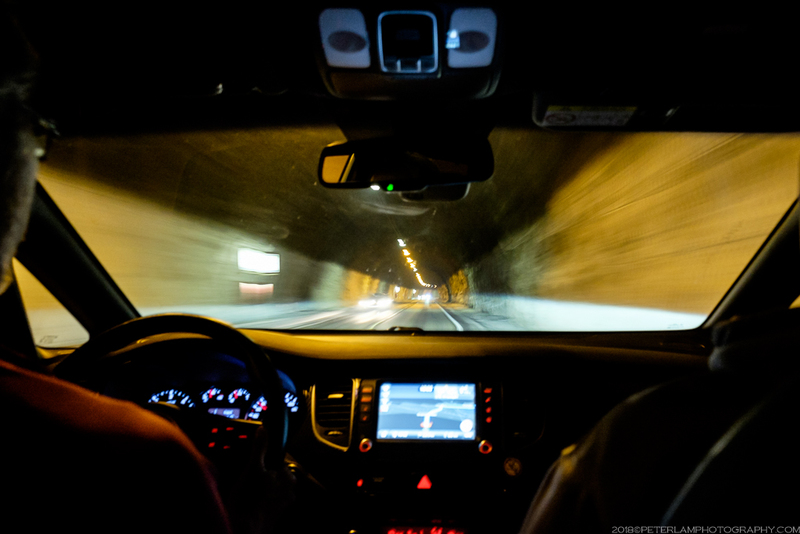 The tunnel is divided into three sections with large mountain caves at 6-km intervals designed to break the monotony and allow drivers to take a rest (the journey takes 20 minutes from end to end). 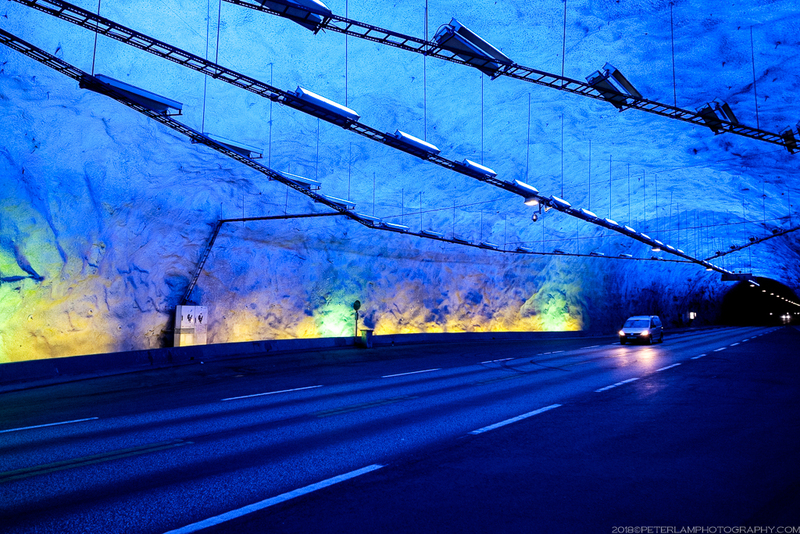 The caves are lit in colours reminiscent of a sunrise. 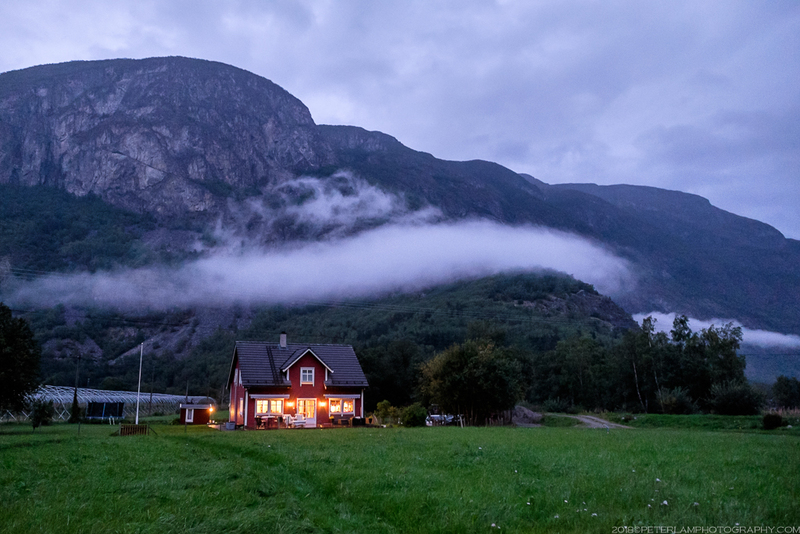 A perfect end to a long rainy day before arriving at our farmhouse accommodations for the night.